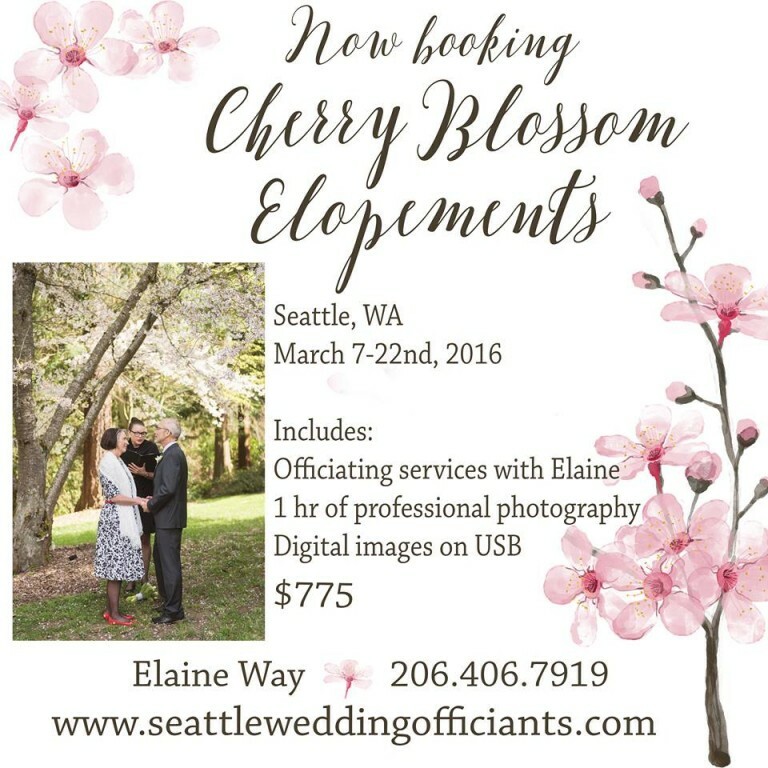 In May I was contacted by Yi via my Seattle Wedding Officiants Facebook page regarding a small Seattle elopement she needed help with. 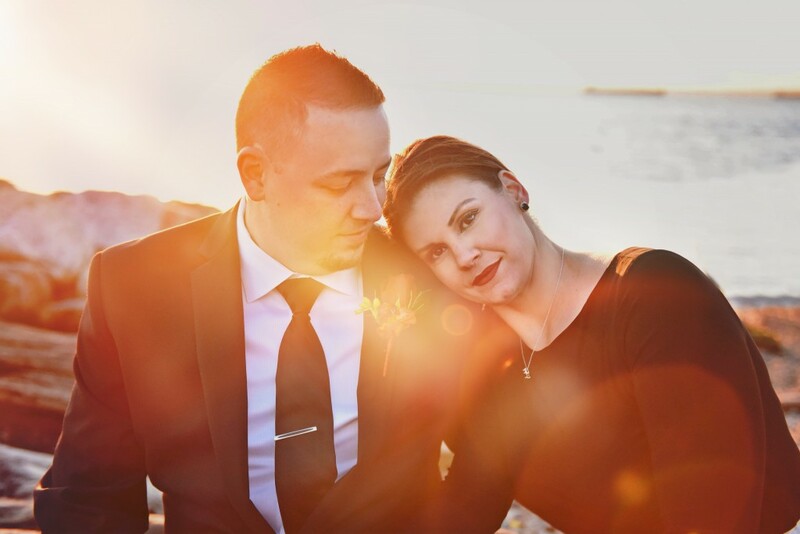 She and her fiance Binyan did not have a location and wanted to pull something together in two weeks. 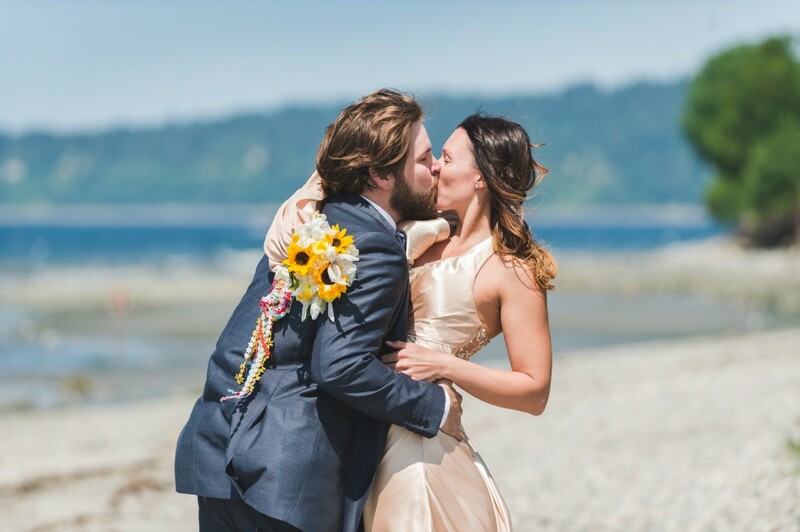 She had a small group of about 15 friends which is the perfect number for a small Seattle elopement. 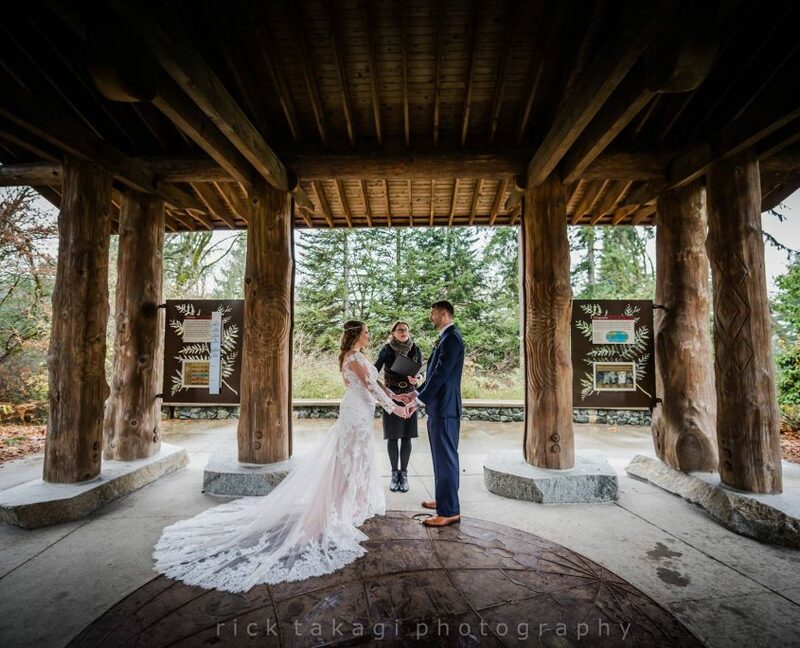 We met for my free consultation and I shared some nice ideas with them that would provide a lovely backdrop for their early summer wedding. 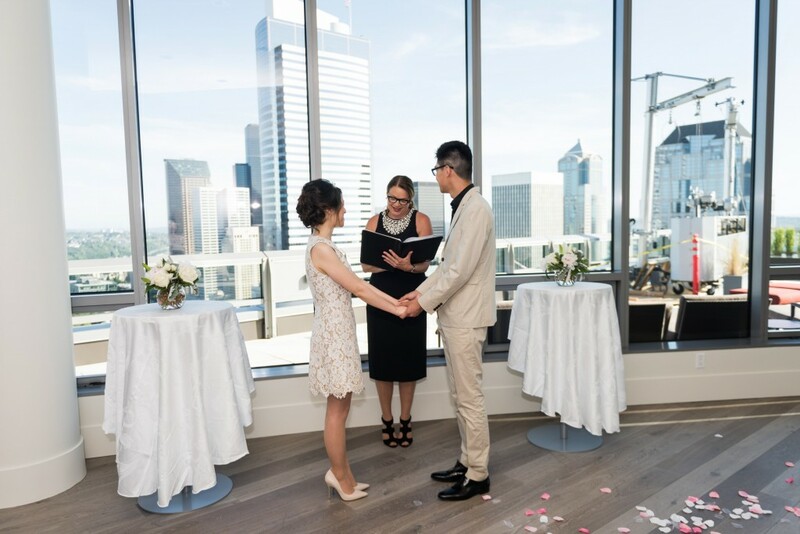 As I was dealing out options like cards in a deck (I have quite a few tricks up my sleeve), they mentioned that they had a friend who had offered his rooftop deck at his downtown Seattle condominium. I said, “wait a minute! 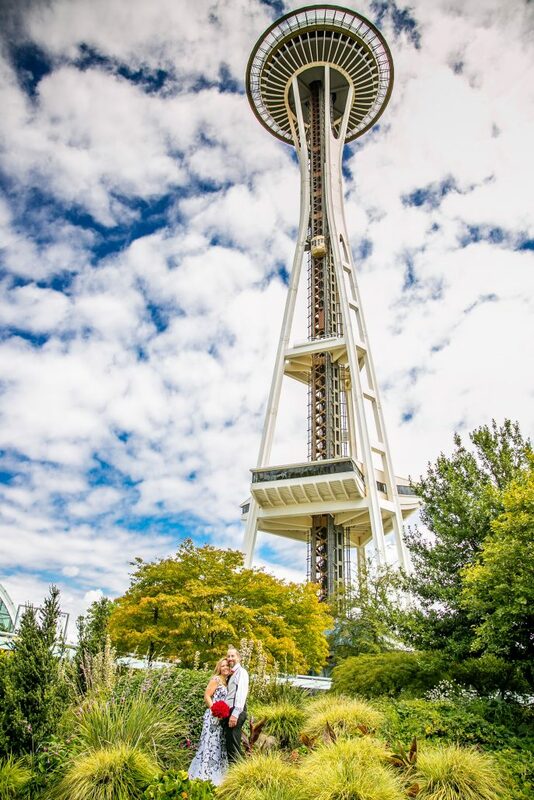 A downtown Seattle rooftop?” I could hardly contain myself. Being a native of Seattle I have seen some pretty sweet views from atop Seattle’s tall buildings. 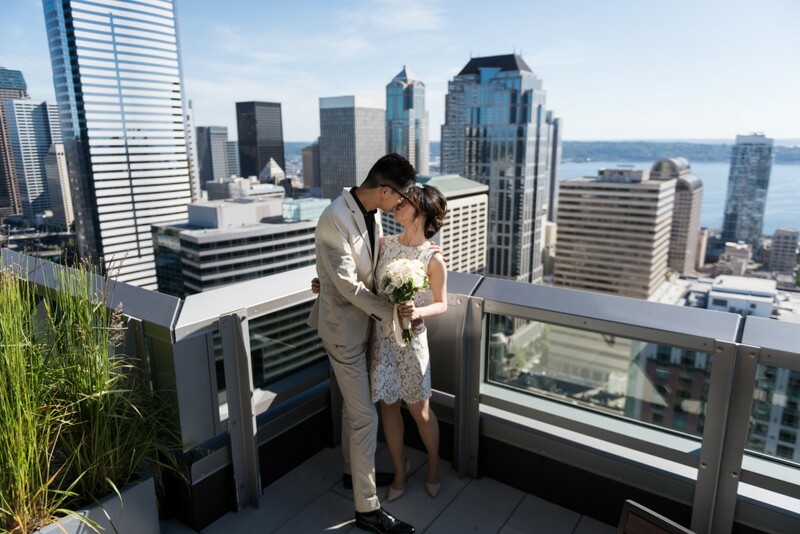 You simply cannot go wrong from any rooftop in downtown Seattle, and this rooftop just happened to be 40 stories up with a 360 degree view of our fabulous city. I immediately suggested we scrap my ideas and use theirs instead. 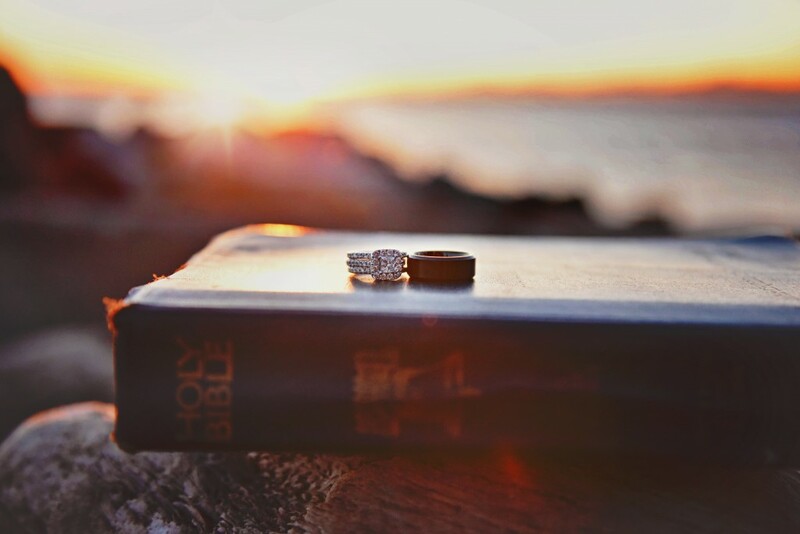 These small elopements are so much fun for me. 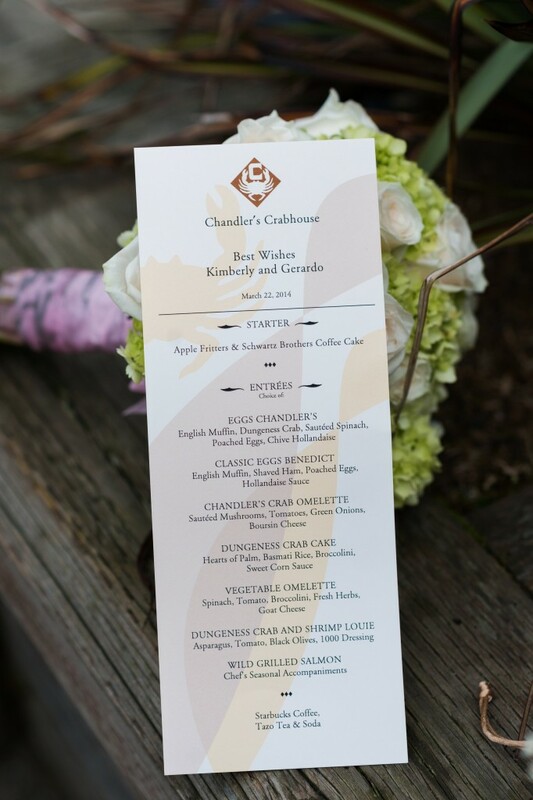 I collaborate with my couples to pull together some wildly fun and imaginative plans for their special day. 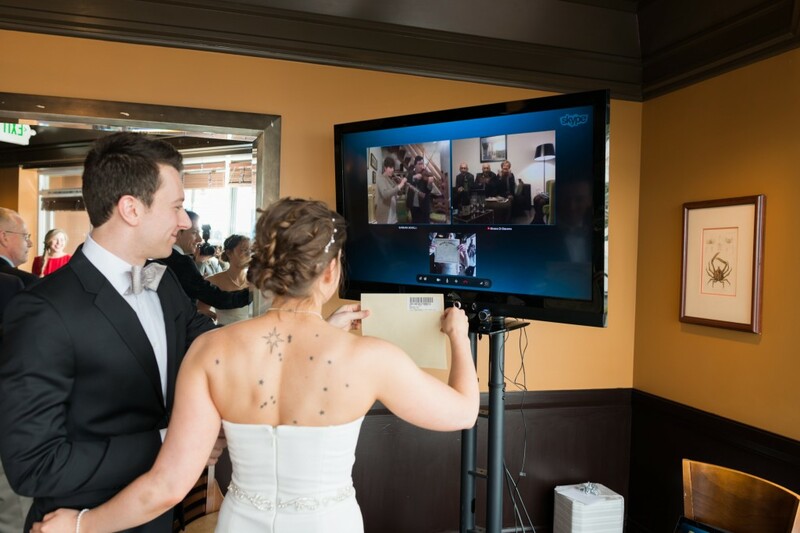 A small wedding can feel like a big wedding when you get to Skype the ceremony to your family back home, add an hour of photography courtesy of Jeanne Phinney Photography, 15 of your best friends, and sushi from I love Sushi. Enjoy! 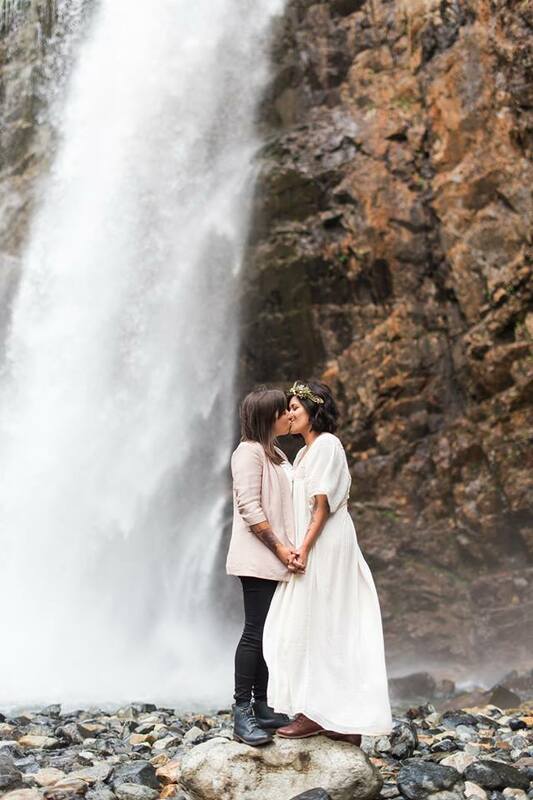 In many cases, couples who want to elope have chosen to have their wedding day be an intimate event with just the two of them. 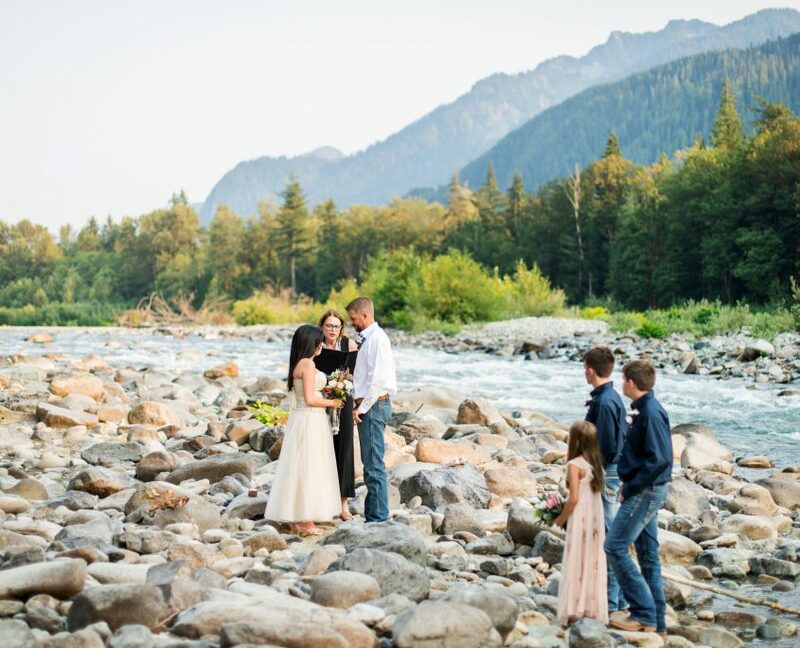 It could also be a personal or financial decision — or maybe they have never been to Seattle and want to combine a vacation to the Pacific Northwest with a small wedding. Whatever the reason, I can help! 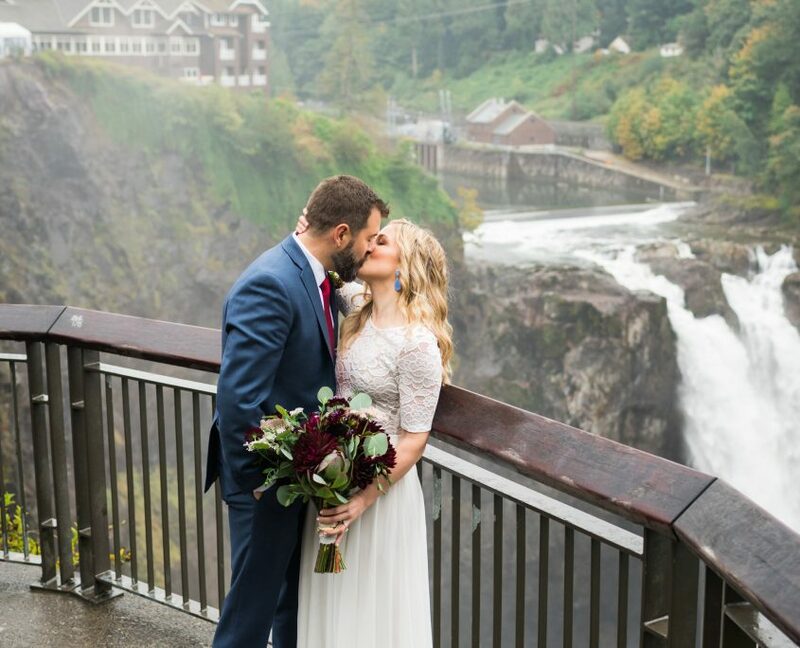 These locations are just a handful of the many beautiful indoor and outdoor possibilities for your Seattle elopement. If you want to add a photographer for an hour or two I can help with that also. 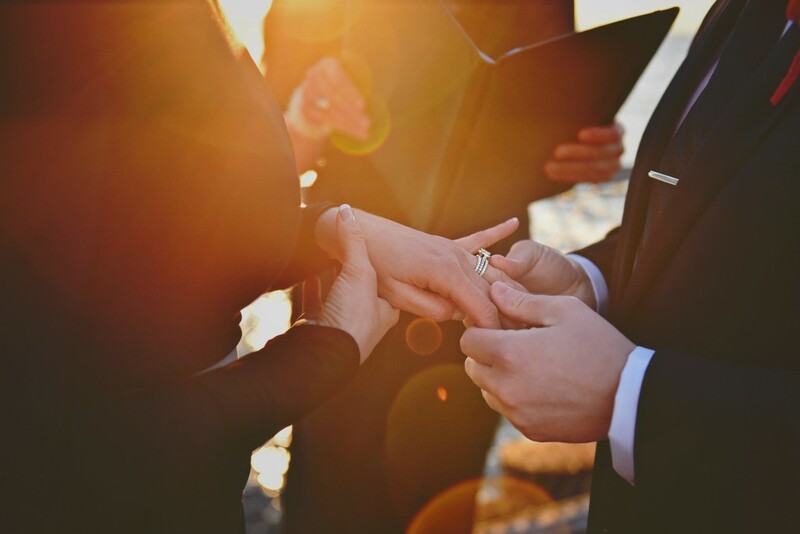 My photography packages can be tailored to your needs and they include my officiant services. 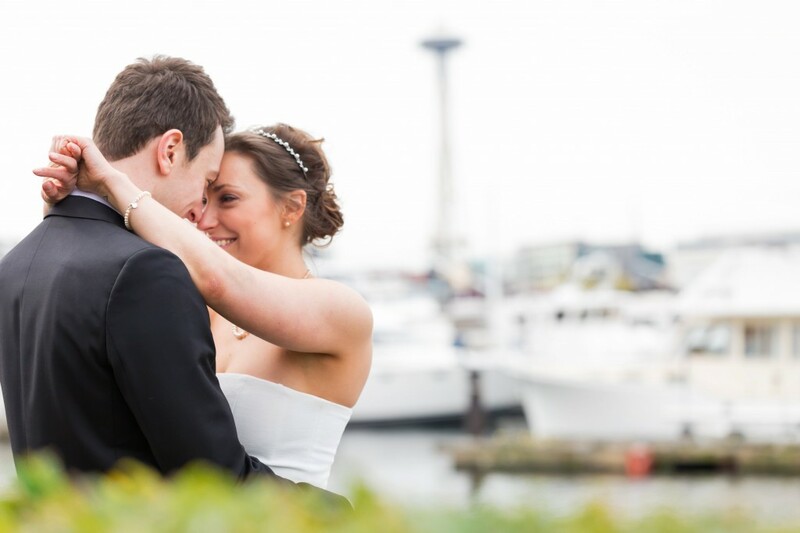 I also offer Wedding Packages for your Seattle elopement. 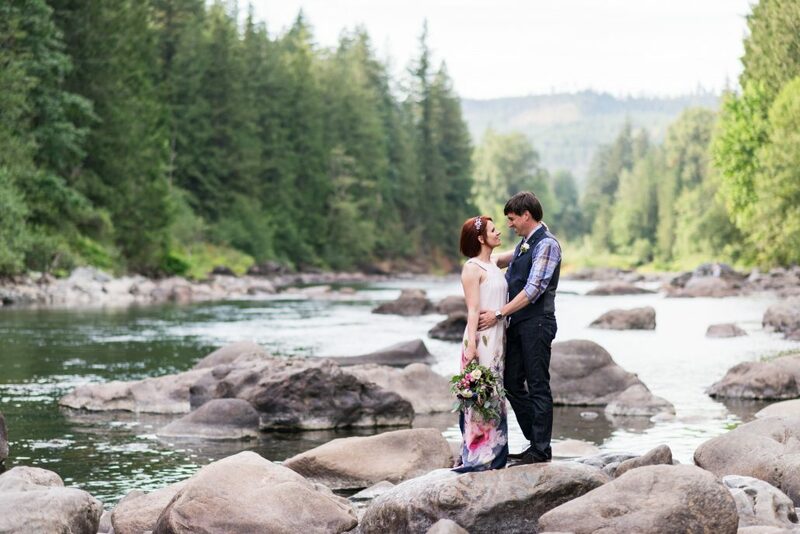 Below are some of the photographs from an elopement that took place this past weekend. 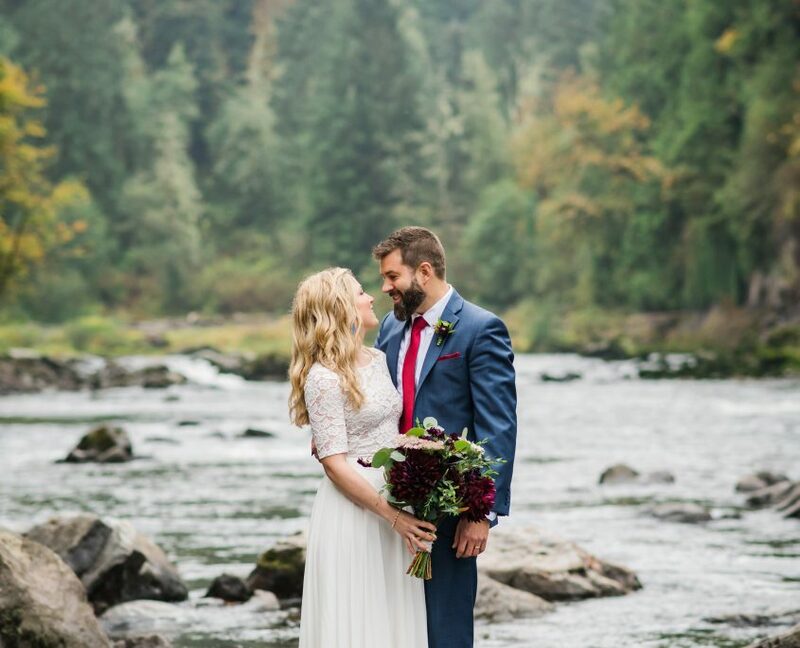 This lovely couple had planned on having a large wedding in California but at the last minute decided to elope to Seattle. 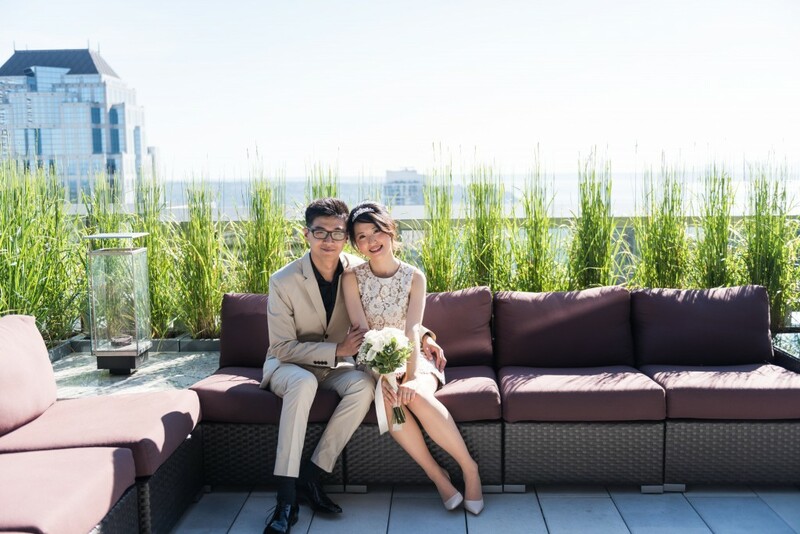 I helped them get an upgrade on their room at the Edgewater Hotel so they could have a water view with a balcony on their wedding night. 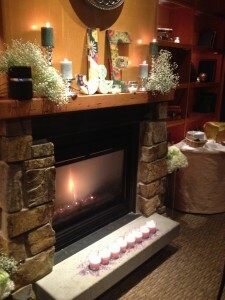 I also arranged for flowers and champagne to be delivered to their room upon arrival. 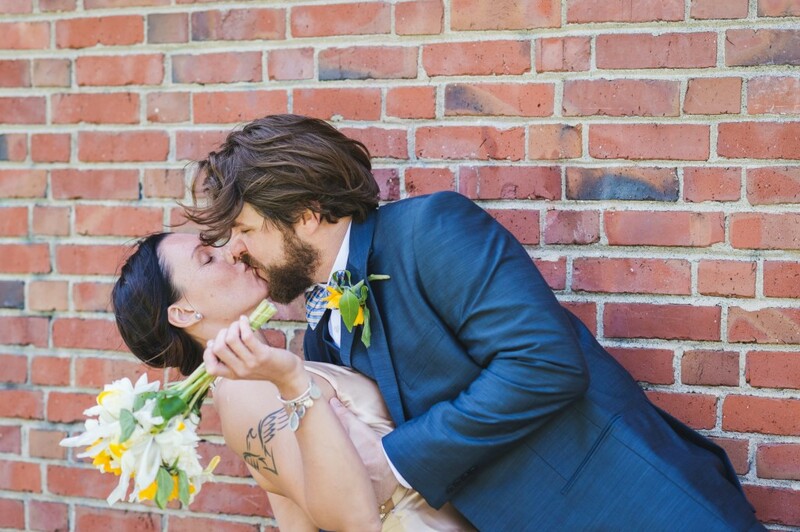 The bride had a custom-made bouquet and the groom had a matching boutonniere that I obtained through Metropolitan Market. 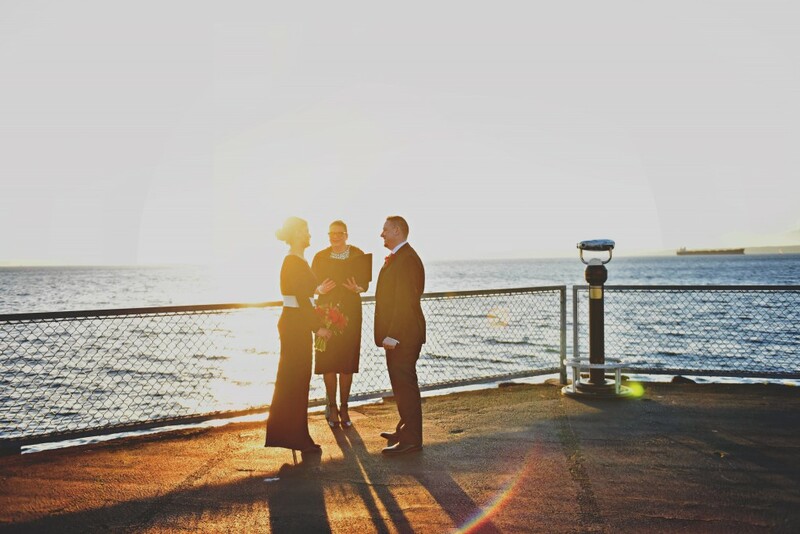 They dined at Aqua after the ceremony where I arranged for them to have a table with a view of Puget Sound. And the best part is that all of this was photographed by the amazing and talented Nicole Bischel of Orange Anchor Photography. 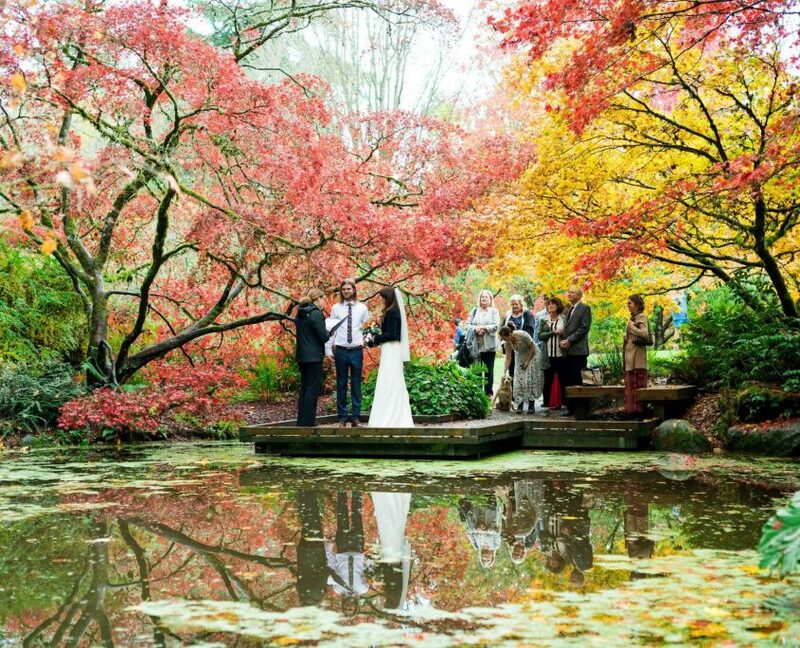 If you are planning to elope to Seattle, please contact me. 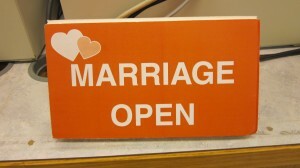 I would love to be your officiant AND your Seattle hospitality expert. Enjoy! 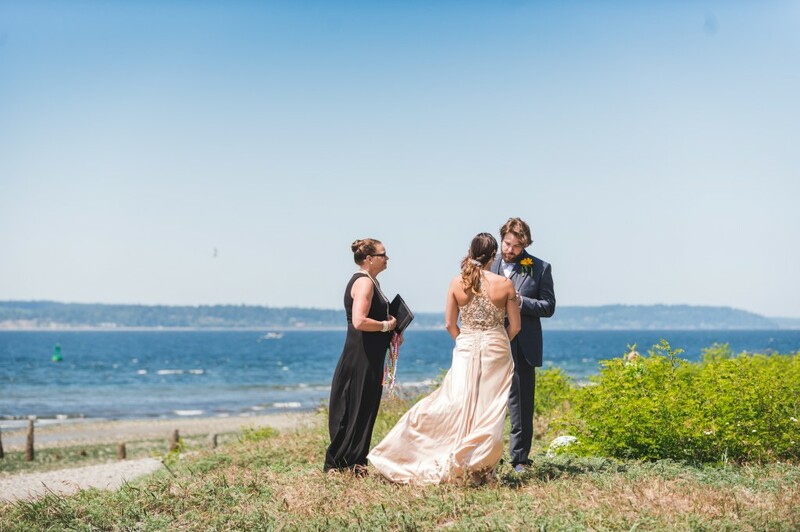 Frequently I am asked by couples for recommendations for small outdoor wedding Seattle locations. 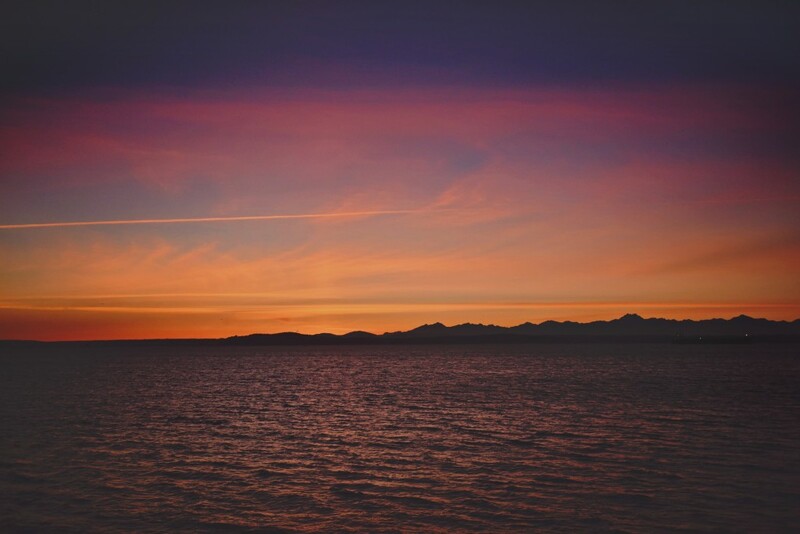 This past May I was contacted by Josh and Crystal who were on a six-week road trip beginning in Vancouver, B.C. 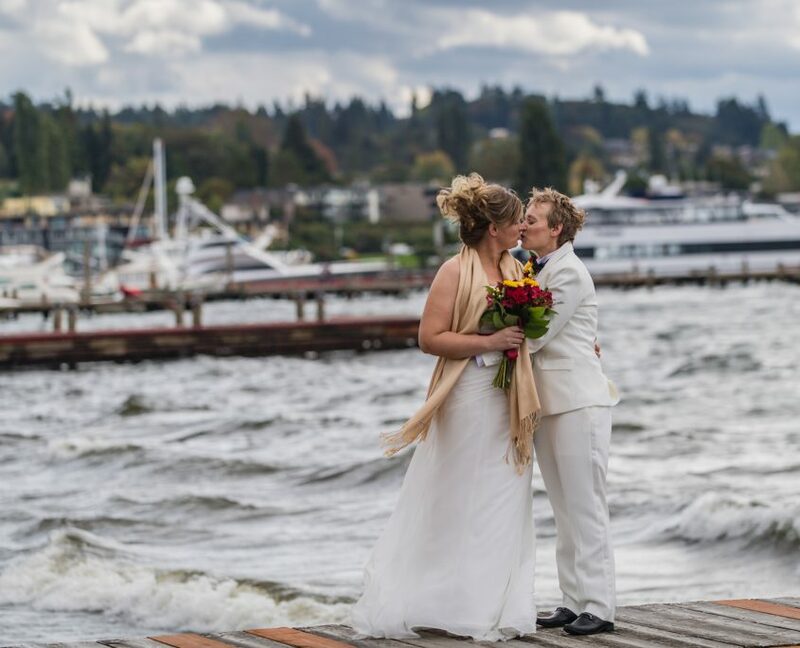 Their wish was to have an intimate wedding while stopping in Seattle before heading down the coast. I was thrilled to be a part of their planning. 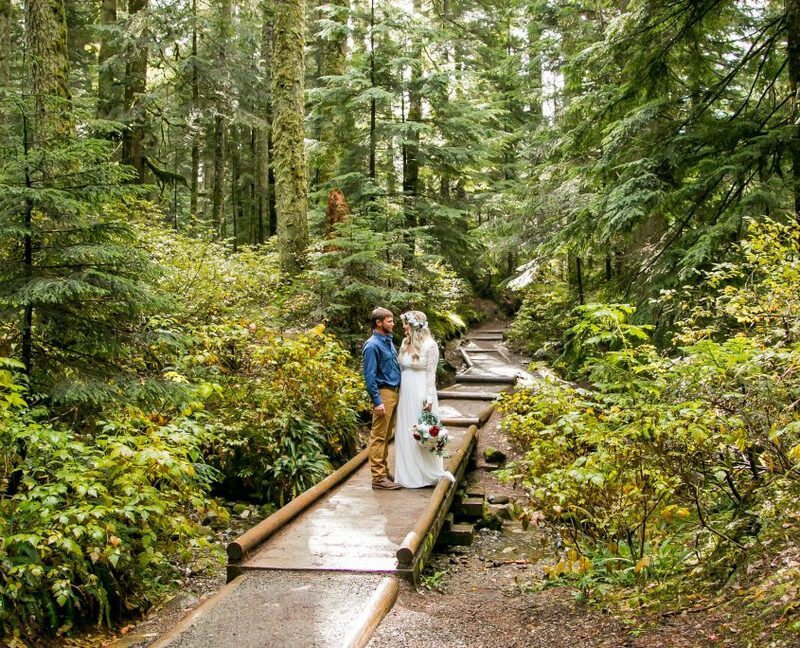 Being a native of Seattle I get really excited when couples make the Emerald City their destination wedding location. I love to introduce people to the city I grew up in. In addition, I get the pleasure of meeting people from all parts of the country. 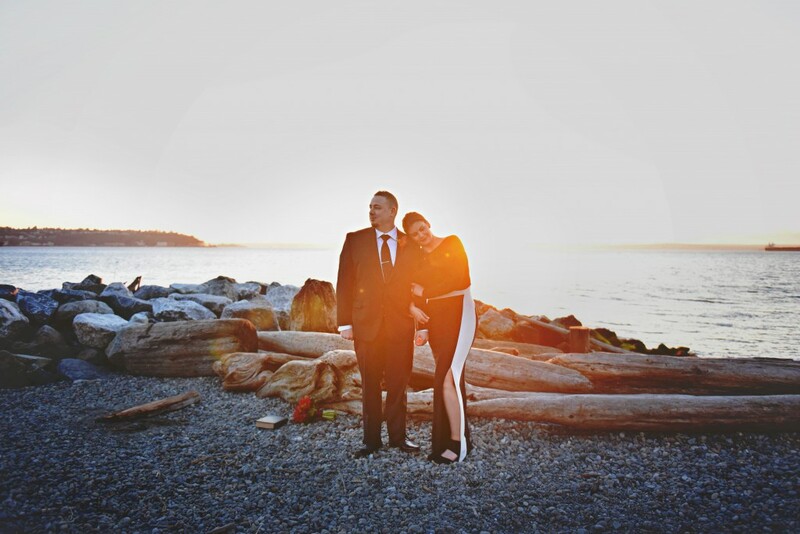 We started talking about locations for their elopement and decided on Golden Gardens Beach. 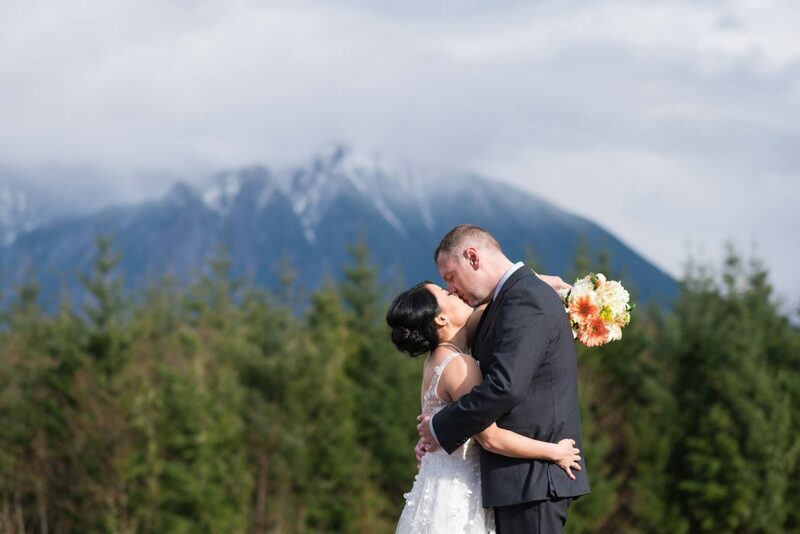 One of the reasons for this location was that I had arranged for a bed and breakfast for Josh and Crystal that was literally right up the street. Sunset Hill B&B is a 100-yr-old renovated farmhouse. The proprietor is a friend of mine and it is with joy that I refer guests to her urban retreat. Read more about Sunset Hill B&B. 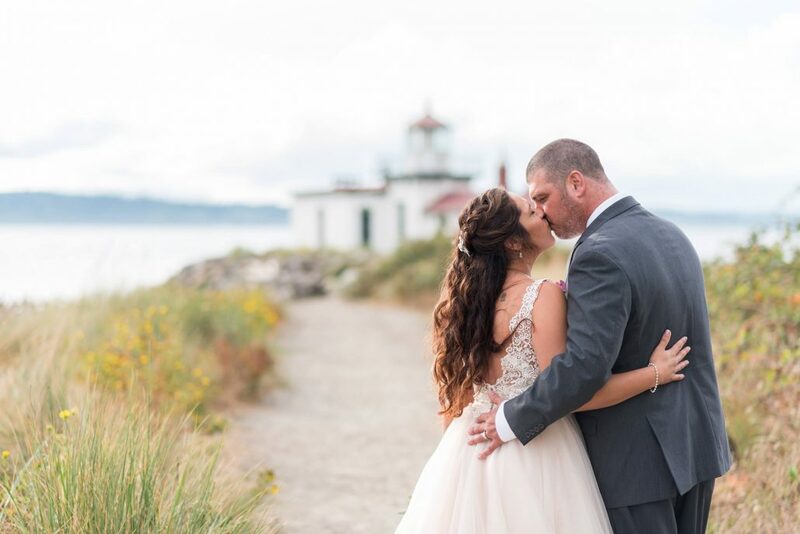 On the day of their wedding, I drove to the B&B and captured pictures of their “first look.” Crystal looked charming and beautiful in her vintage gown. And Josh beamed as he saw his bride for the first time. 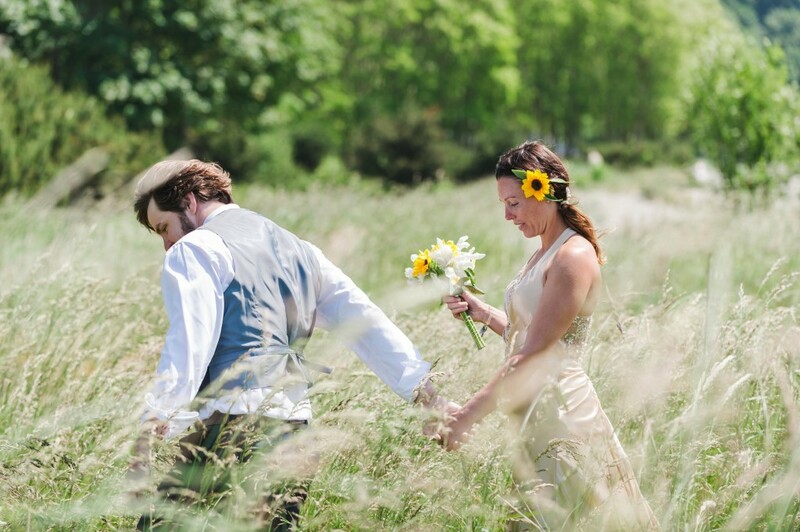 The sunflowers in Crystal’s bouquet were even smiling! Next we drove down the hill to the beach where our photographer, Jeanne Phinney of Jeanne Phinney Photography was waiting for us. 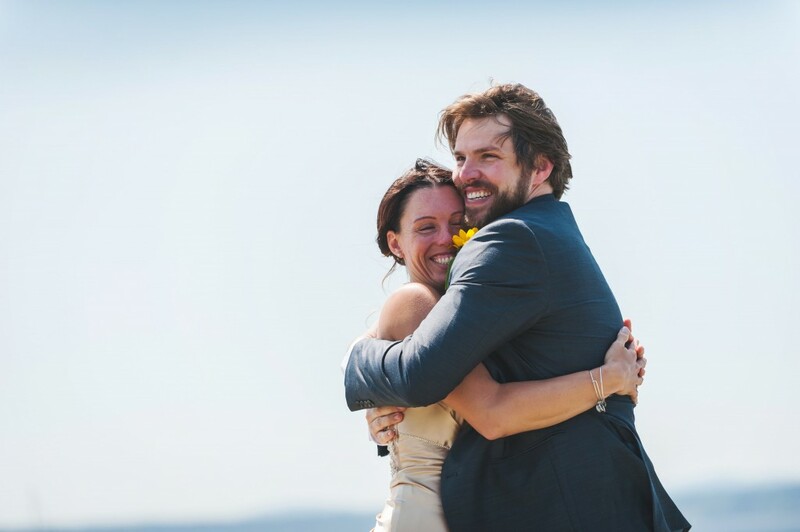 The following photographs are a beautiful reminder that even small weddings can have huge feelings. 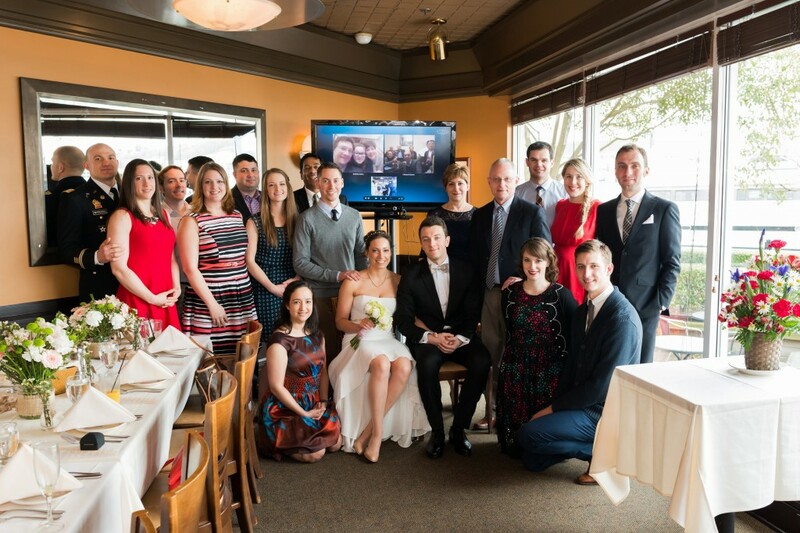 Small Seattle Wedding Skyped to Italy! 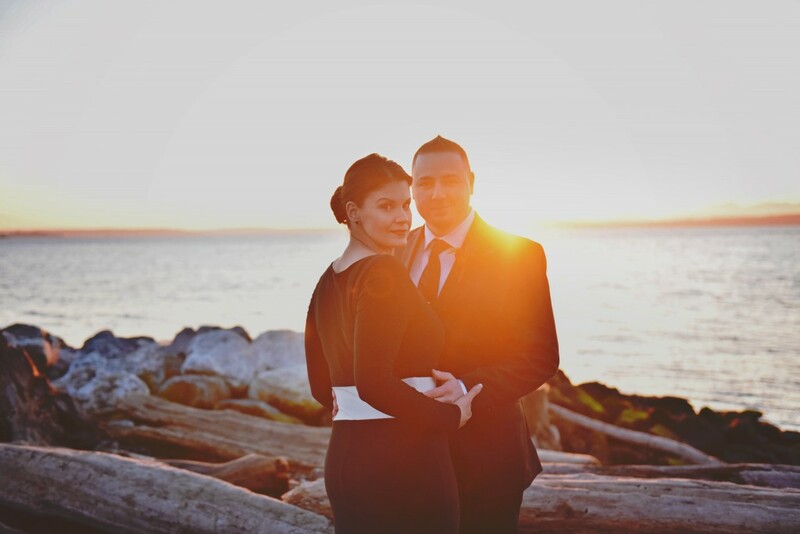 Kimberly and Gerardo contacted me in February for their upcoming wedding in March. I guess you could call this one of my “Small, Last Minute” wedding inquiries. But there was certainly nothing small or last minute about it. 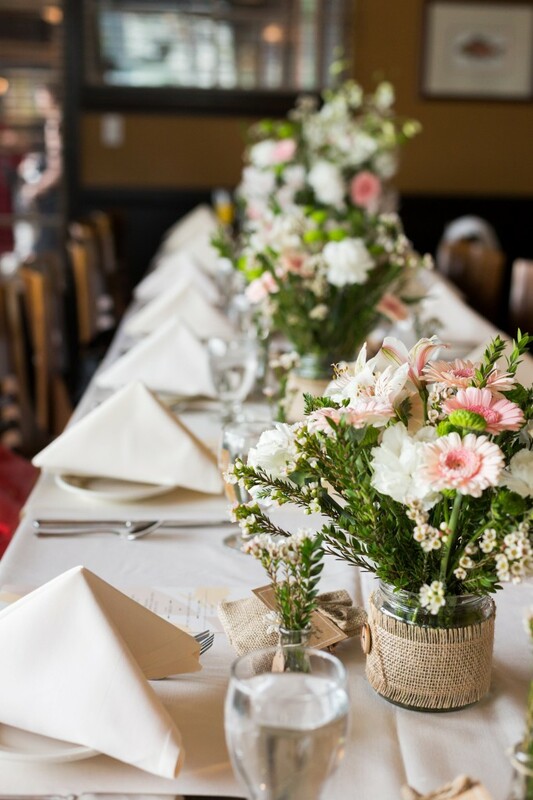 One of the funnest parts of orchestrating a wedding of this size is that you can weave in many of the elements of a large wedding without all the months of planning that go hand-in-hand with having a large wedding. 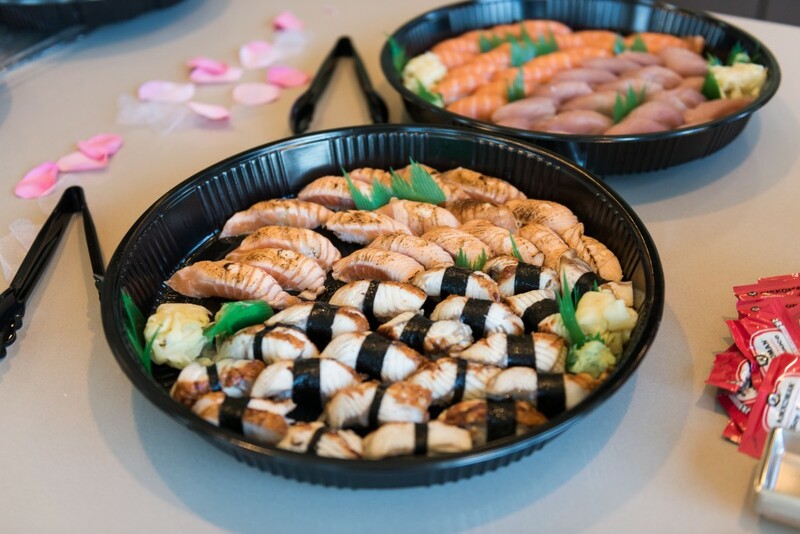 We started out by talking about a venue for their wedding that could accommodate 20 of their friends and family. I have a — sort of bible — that I pull out for requests such as these. 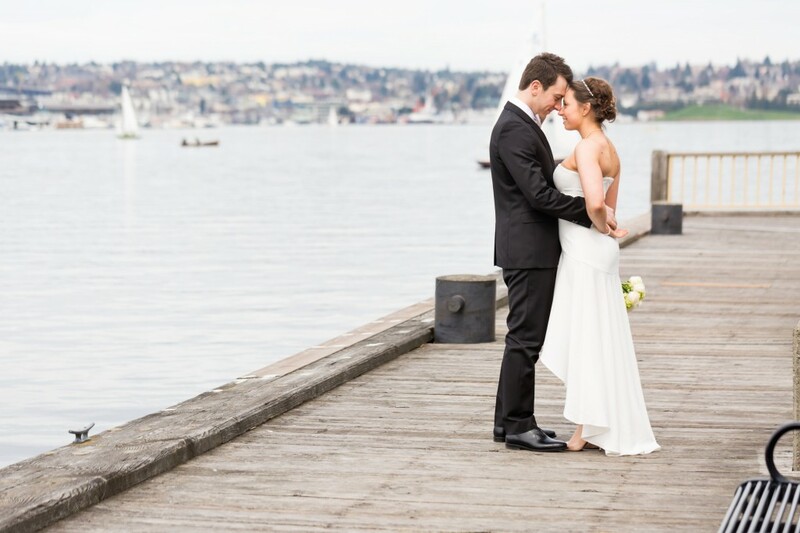 Kimberly and Gerardo chose the Lakeside Room at Chandler’s Crabhouse on Lake Union for their Seattle wedding. 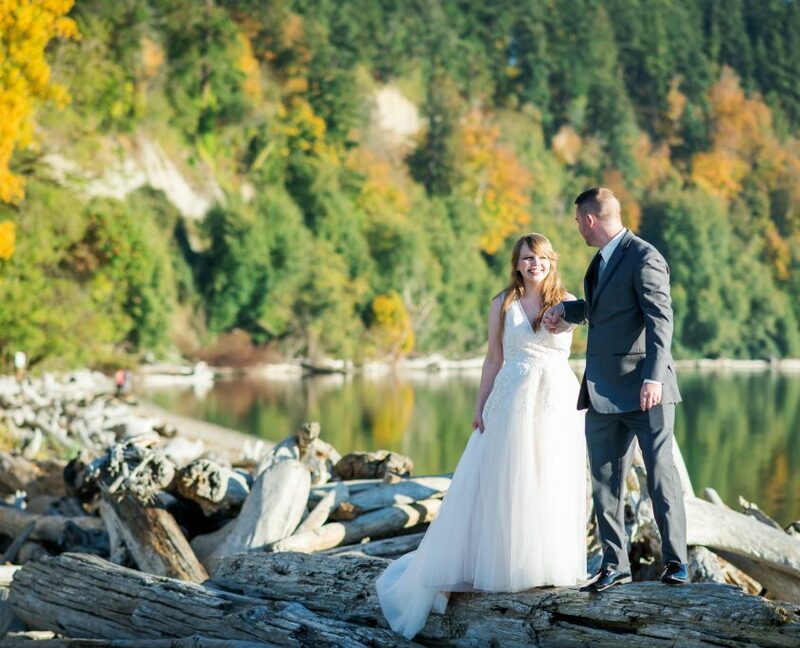 They also decided to add a photographer from one of my Wedding Concierge Packages, which I was happy to provide. 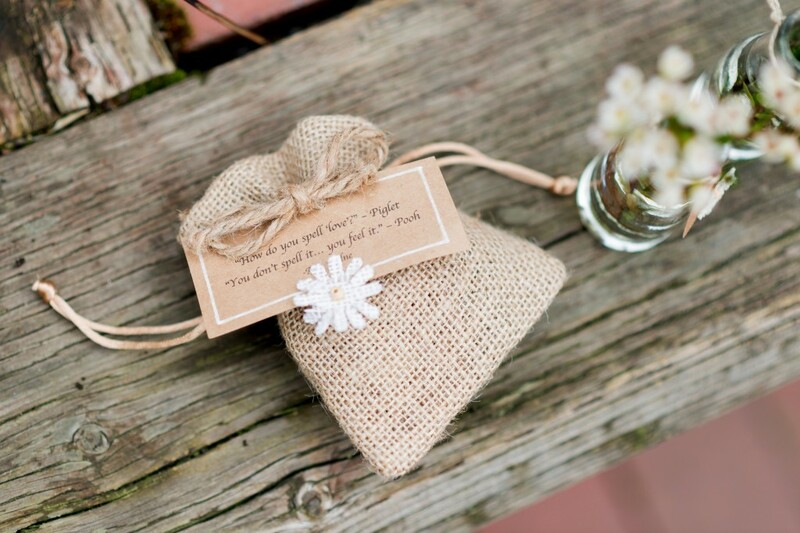 Kimberly decorated the small private event room with beautiful little touches, such as little bags of goodies that had a sweet Winnie the Pooh saying on the outside. 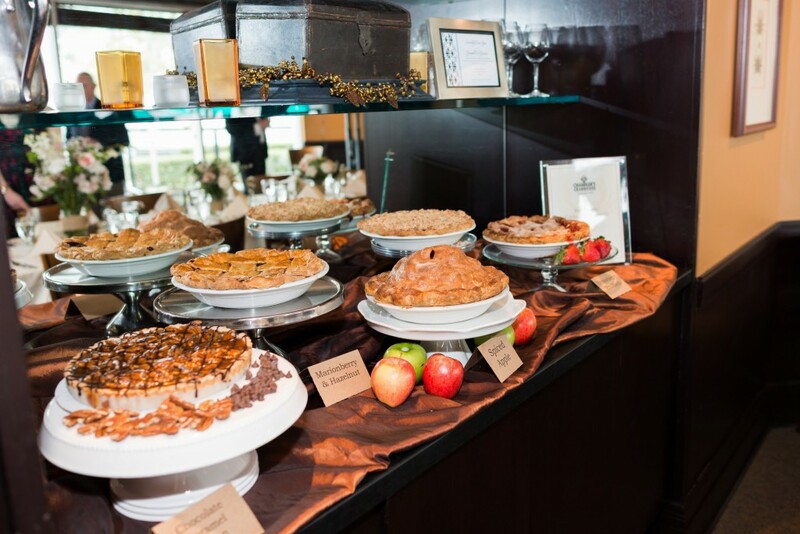 There were several yummy pies in place of the traditional wedding cake. But the funnest touch was that Gerardo set up a Skype session with his family in Italy. His brother in Italy even provided the music as we all walked into the room. And just before we began the ceremony, a large beautiful arrangement of flowers arrived from the family and friends who were watching via Skype. 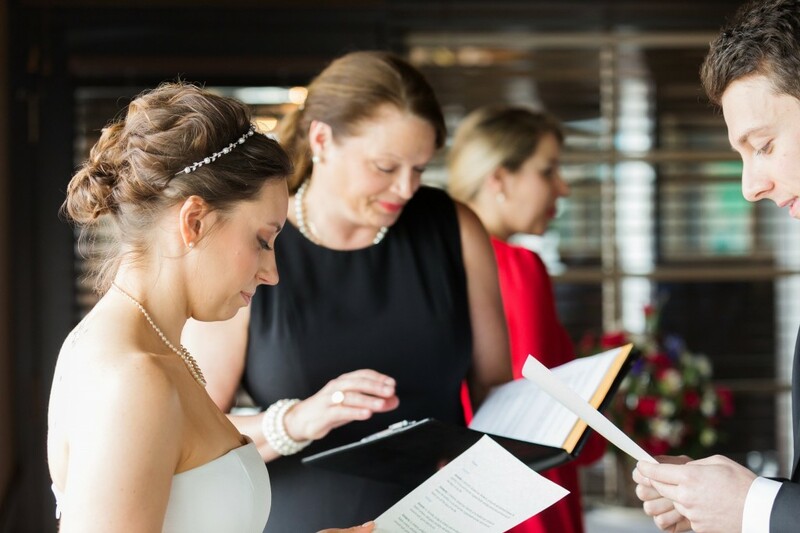 They got to see the bouquet they sent and watch the entire ceremony. We got to see their faces filled with joy on the big screen and hear the violin music coming all the way from Italy. 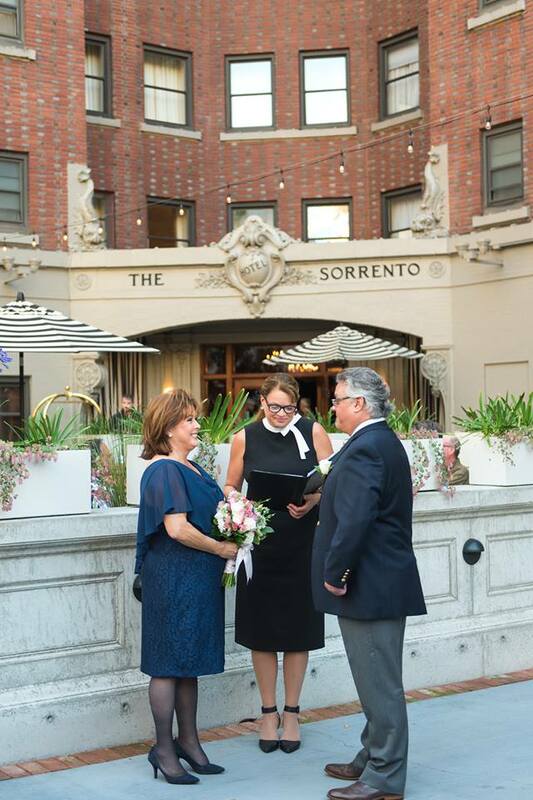 Please enjoy the lovely photos that my friend and colleague Jeanne of Jeanne Phinney Photography took of Kimberly and Gerardo’s sweet wedding. Congratulations Kimberly and Gerardo! http://seattleweddingofficiants.com/wp-content/uploads/2016/04/logo2.png 0 0 MissElaine http://seattleweddingofficiants.com/wp-content/uploads/2016/04/logo2.png MissElaine2014-04-09 18:57:462016-06-21 18:06:08Small Seattle Wedding Skyped to Italy! 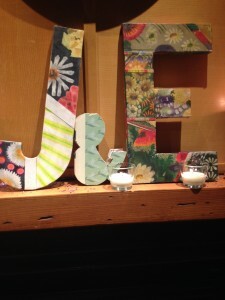 Last night I had the pleasure of officiating the wedding of Emma and Jay. 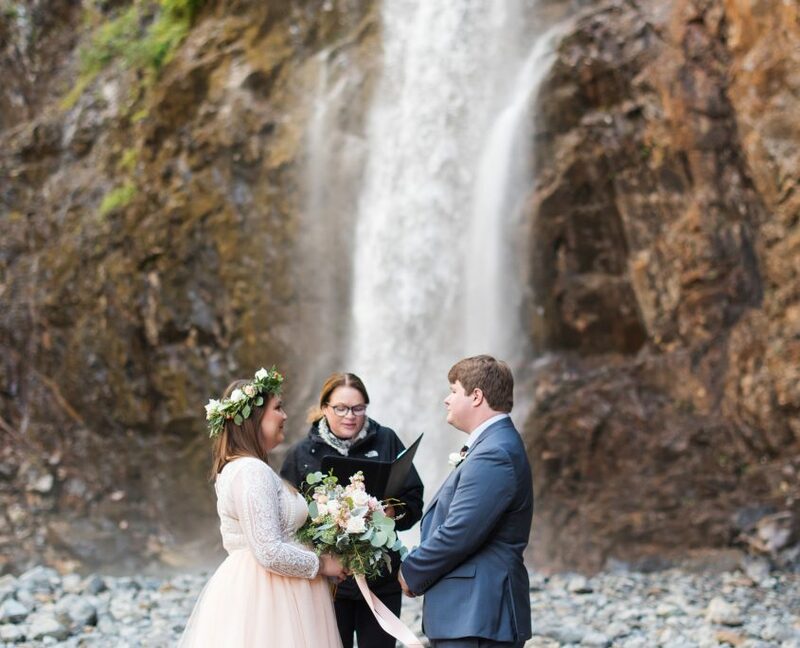 I only met them a few weeks ago and it was definitely one of my “small, last minute” weddings. 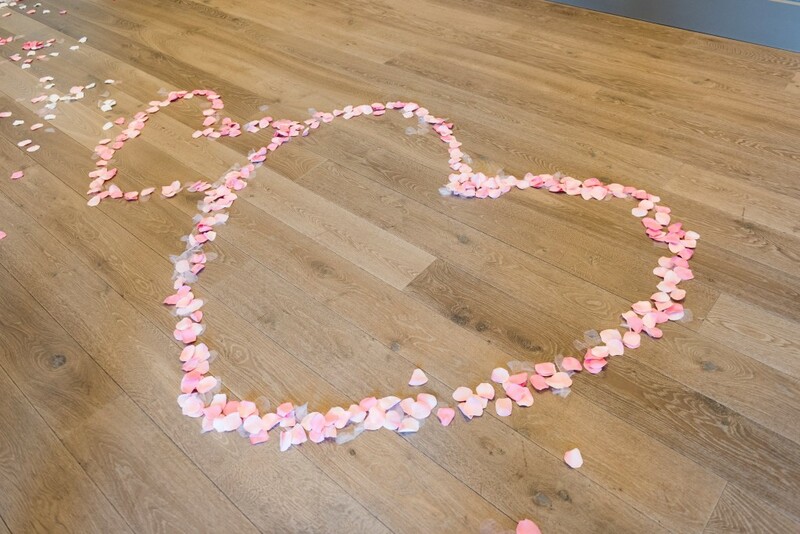 They had rented a suite at Willows Lodge for the evening and then chose to use the library at the lodge for their small, intimate wedding. Honored guests includes friends and Jay’s uncle but most importantly, the couple Skyped their wedding so both sets of parents could watch from Shanghai, China. You see, Jay and Emma met in China when they were only wee school children and their families have known each other for years. 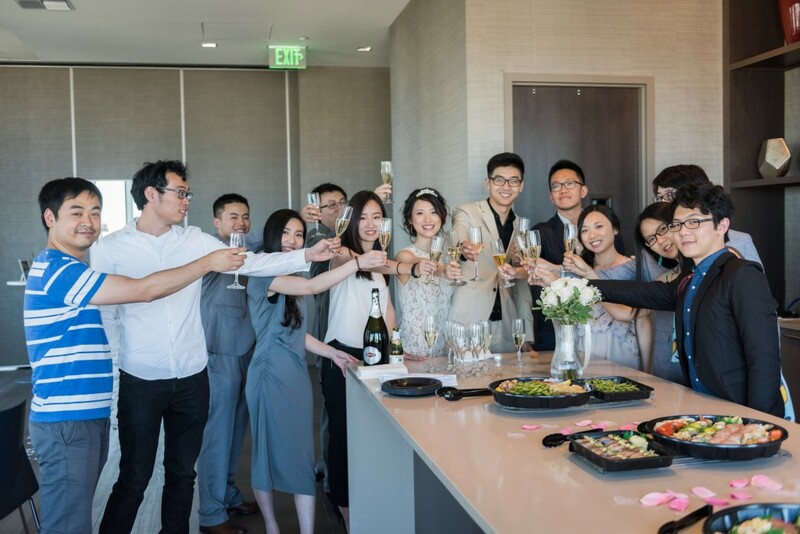 All four parents in China were very excited to watch their son and daughter get married from so far away. 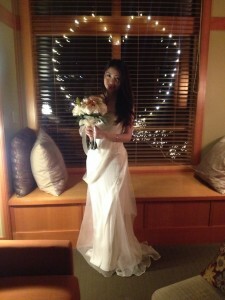 Emma had on a lovely Vera Wang gown and looked like an angle. And Jay could not keep from smiling almost the entire time. 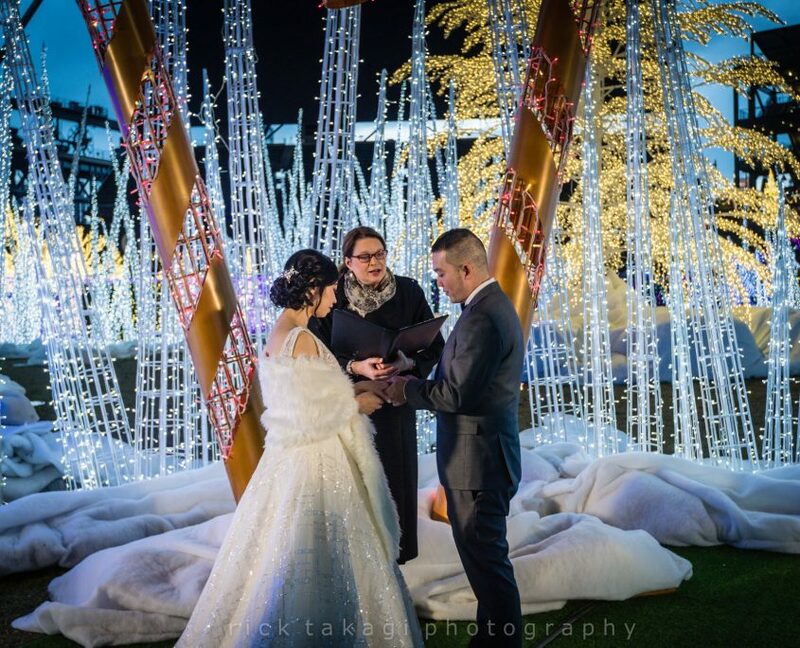 Their vows were beautiful and I was honored to be a part of their Chinese New Year wedding! 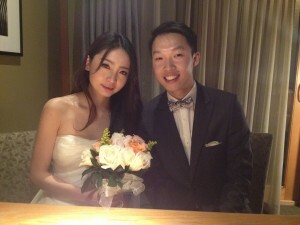 Congratulations Emma and Jay! http://seattleweddingofficiants.com/wp-content/uploads/2016/04/logo2.png 0 0 MissElaine http://seattleweddingofficiants.com/wp-content/uploads/2016/04/logo2.png MissElaine2014-02-01 17:34:342016-06-21 18:28:30Chinese New Year Wedding!